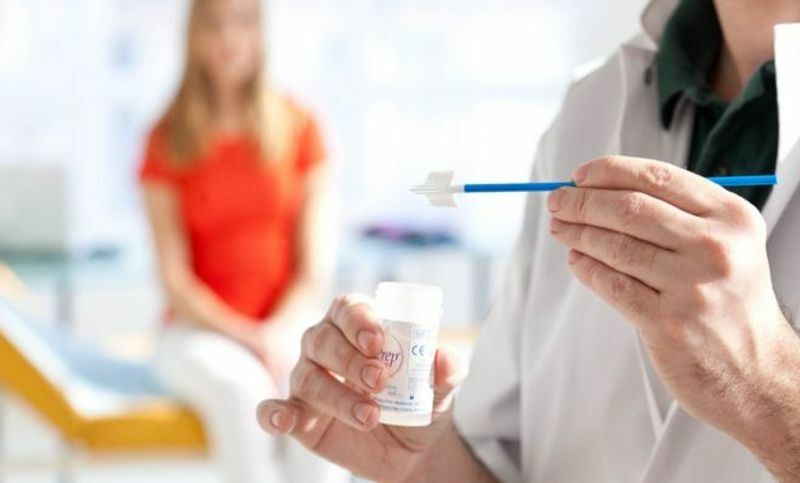 The government has launched its first cervical screening advertising campaign in England as the numbers of women taking part have hit a 20-year low. The campaign - being run by Public Health England - has avoided the term "smear test" amid concern it may put people off. Officials said the term was outdated and hope the term cervical screening will "normalize" the procedure. Adverts will run on TV, radio and online for the next eight weeks. The campaign stresses the screening is basically a health check for the cervix and shows a woman being reminded by family members and friends to go for testing. Figures last year showed just over 71% of women aged 25 to 64 had been screened at regular enough intervals. PHE director of screening Anne Mackie said the campaign was about "breaking down barriers". She said there were a variety of reasons for not attending but there had been a conscious move away from the term "smear test". "The technical process used today no longer smears the sample of cells from the cervix on to a glass plate," she said. "We now put cells we collect into a tube of liquid, so technically 'smear' is incorrect." Ms. Mackie said the overarching message of the campaign - cervical screening saves lives - was much more "clear and direct" and "hopefully helps to normalize the term". She added: "The campaign shows how cervical screening is a vital preventative test which can identify potentially harmful cells and treat them before they develop into cancer, giving us the opportunity to stop cancer before it starts."